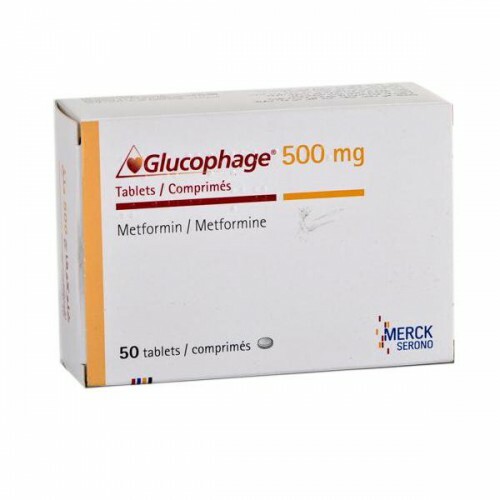 Metformin sold under the trade name Glucophage,is used to treat diabetes,but several studies shot that it also helps non-diabetics to lose weight by reducing hunger. Glucose disposal agents like Glucophage(Metformin) do not play a direct role in fat loss, but act as an awesome aid in a fat loss diet. Many have probably heard or used some of the OTC (over the counter) glucose disposal agents such as, vanadyl sulfate with chromium, and ALA. Yes, these are all pretty decent glucose disposal agents due to the fact that they mimic and support the effects of insulin in the body, but they are not the best. 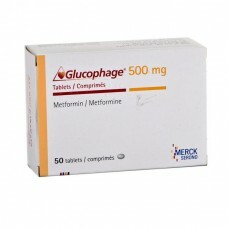 My personal favorite is Glucophage, or by the trade name Metformin. This drug heightens the body's sensitivity to insulin, and is currently used to treat type 2 diabetes. For fat loss purposes Metformin is used in ketogenic diets to rapidly drop blood sugar to quickly induce ketosis. For a mixed ratio diet, Metformin would be used with carb meals insuring that the carbohydrates go to muscle tissue over fat, this is a great addition to a high sugar post workout meal. Additionally, due to the fact that it controls insulin levels in the body, it also greatly reduces hunger in between meals. Metformin is very beneficial in that it heightens insulin sensitivity, which is very good due to the fact that most Americans are insulin insensitive. This over production of insulin which insulin insensitivity causes can lead to weight gain and also various other health problems. Now, the best way to use Metformin would be to take 2000-3000mg divided up with meals. On a moderate carb diet, you could split up the dose and take it only with your carb meals. If you follow a CKD (cyclic ketogenic diet) type diet, the best way to use it would be with your weekend carb up, which would follow the same schedule as above. Metformin is not needed during the week, but if you like the appetite suppressing effects that it gives you, you can also use it during the week. Another thing you can do on a CKD is to have a small amount of fast acting carbs (around 40-50g) after your workout with Metformin. This will not cause you to drop out of ketosis due to the fact that the Metformin will quickly shuttle the carbohydrates into the muscle cells while still running on ketones.